IPv6 out of the box! My PublicNet interface automatically came with an IPv6 address. I used the live chat during the sign-up process to ask some questions – that was a good experience. The guy resolved my issues and answered my questions. The networking seems more straightforward than AWS – I have 2 interfaces; a Rackspace internal one, and a public one, and the public one has the public IP assigned to the interface. On AWS, you typically have one interface, which can have an “Elastic IP” (a movable public IP address), but if the instance wants to know what its’ public IP is it needs to query the metadata service – it doesn’t appear on the interface. 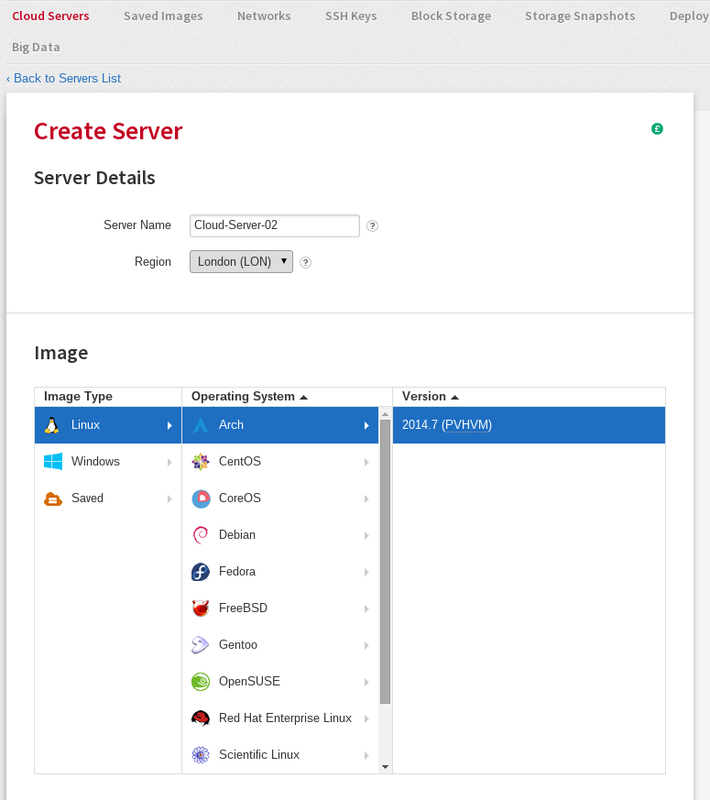 The GUI looks nothing like the OpenStack Horizon dashboard. Maybe that’s a good thing, Horizon is a bit basic. VM monitoring (CPU/disk IO etc) seems to happen using a “monitoring agent” utility that you need to run yourself. AWS manages to collect stats without needing this, but having a monitoring agent does give you the ability to see the list of processes running in your VM. The sign-up process was more involved than Amazon AWS’ one (it looks like it sometimes includes a phone call), although AWS of course has the advantage that you can just login with your Amazon account and start using it straight away. The terms & conditions aren’t favorable for individuals (basically they can terminate your account at any time).